To Create Complex Trading Systems we need to have a complex mathematical models and designing a highly complex mathematical models in amibroker is not so easy. However we can still build complex mathematical models with the help of Python. Python is a open source language similar to C,C++ and it has tons of open source their party modules for financial computings and implementing statistical models. Some of the third party modules use to build complex stuff are numPy,sciPy,pandas. You can google more to know about these statistical packages. What is Python COM Server? COM (Component Object model) is used to enable interprocess communication and dynamic object creation in a large range of programming languages. 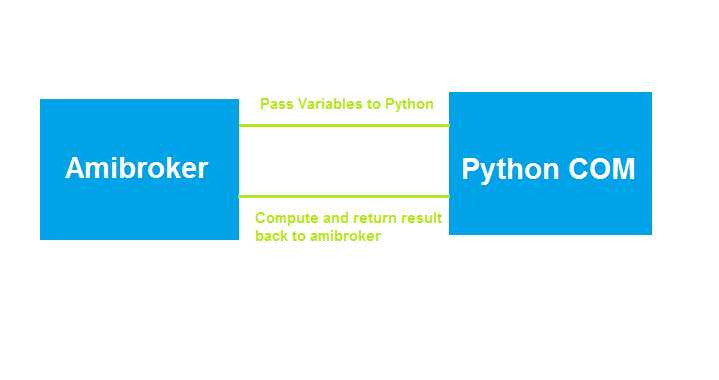 Using Python COM we can create a interface between Amibroker and Python where Amibroker passes the variable and the complex computation is done with the help of python programming. 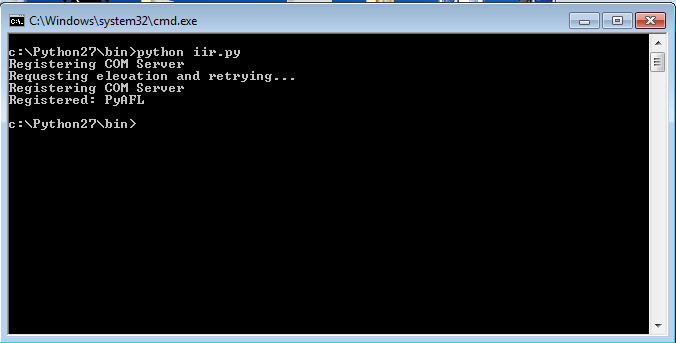 The Python COM Server communicates with the Amibroker OLE object for interprocess communication as shown below. Here Iam going to demonstate the AFL code by Bruce Peterson on Integrating Amibroker with Python using IIR Filter example. IIR stands for Infinite impulse response (IIR) is a property applying to many linear time-invariant systems most commonly used in digital and electronic filters. We are not offering any trading recommendations rather than Educational Content and our own observations on markets. Check now it is rectified. excellent knowledge and explanation . how can i contact ? I am only able to return string or number back to amibroker. Not able to return the list. I am plotting outlist in both cases. ignore above comment..its solved..thanks anyway. Does this Python Integration thing Work with AmiBroker 5.6???? Looking for an affirmative reply!!!!!!!!! Thnx for your prompted reply, Bro…….. Create a bin folder inside your Python27 folder. As simple as that. You need to Install the following Python Libraries. Now where do I get it? Would it be available as a single package, or each needs to be downloaded differently? But not sure why you are getting numpy error. Anyways we are not using numpy in this tutorial. 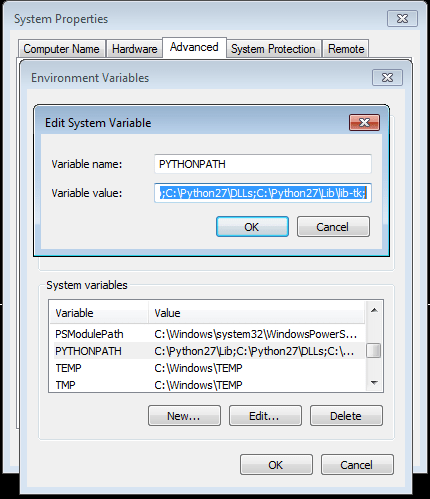 May I use Anaconda Python Package instead of Python 2.7 for Windows? I am sorry. I am not familiar with Windows. Where do I get this id? Ensure that the python COM is registered else you will get such errors. Com/Handle object is null in the AFL at this line SmValue = MyObj.IIR2(Close,Coef0,Coef1,Coef2); Please help. I am also getting the same error, even after following all the process.